Here’s the perfect topping everybody should add to their pizza. And no, it does not affect anything after you cook them. New research has found that mushrooms offer high levels of antioxidants, which are perfect to avoid aging and to improve general health. The lead researcher explained how these two compounds work to improve the human health. Normally, a person gets its energy thanks to the food it eats. However, it also creates free radicals in the process, which leads to oxidative stress. These oxygen atoms, which are also free radicals, travel through all the human body to find other electrons and pair up. But in the process, they tend to hurt as many cells, proteins, and parts of a person’s DNA as they can. By eating the mushrooms, we would be facing the damage these oxygen atoms cause in our body. The more we eat, the more antioxidants we will ingest, and the more we will be protecting ourselves against the oxidative stress. When talking about the free radical theory of aging, Prof Beelman said that the human body has “mechanism to control” these toxic radicals — such as ergothioneine and glutathione. However, our body decreases the production of them as we get old. This is why every person should help their body by eating little portions of mushrooms at least once every week. Even though many Americans enjoy mushrooms as pizza toppings, for example, they don’t eat them nearly as much as Europeans. 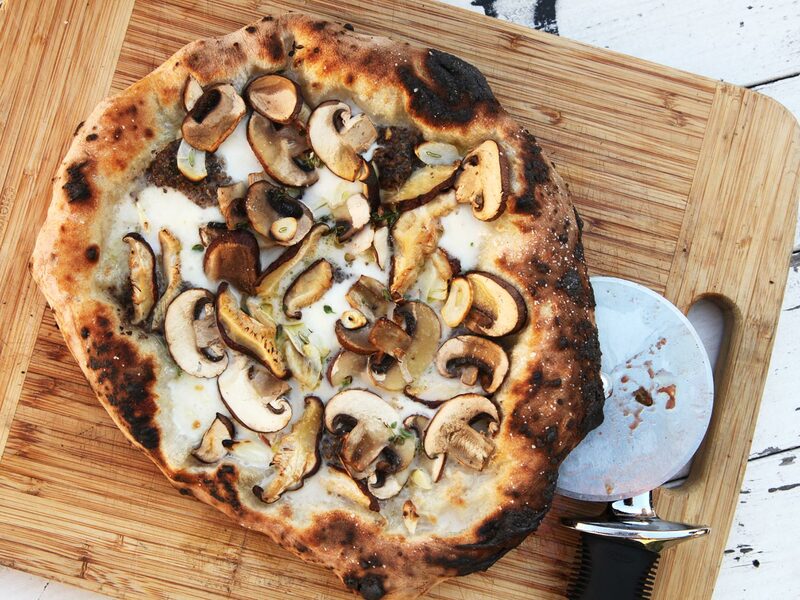 Beelman also said that the common mushroom — the white button, usually eaten in pizza — is the species scientists reported to have the less amount of antioxidants from all the 13 other types. However, just a single one of these contains more antioxidants than many other foods. There’s still a lot of research to be done, but Beelman considers this is just the beginning.